In 1943, French author Antoine de Saint-Exupéry sat in his apartment in New York’s Central Park South and started to bring to life his greatest creation, the spacefaring boy known as The Little Prince. In 2014, MAKE author Carla Diana will sit a few blocks away in New York’s Columbus Circle and introduce the world to her creation; a 3D printing wizard known as Leo, the Maker Prince. MAKE author Carla Diana and her book, Leo the Maker Prince. 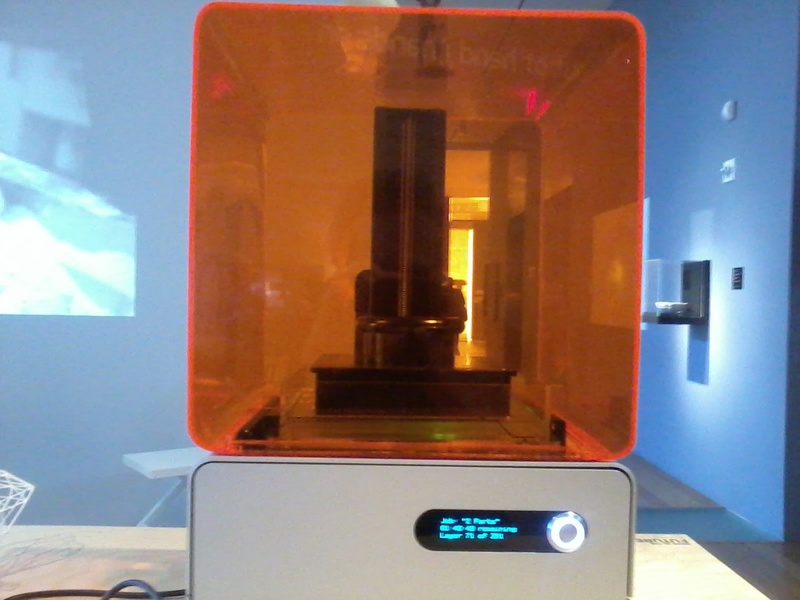 Diana (and Leo) are doing a hands-on residency sponsored by Shapeways, the 3D printing enabler, at the Museum of Arts and Design, as part of the exhibition Out of Hand: Materializing the Postdigital, which the museum calls the first in-depth survey of computer assisted production on contemporary art and design. She will be using a Formlabs 3D printer from the MIT Media Lab, which is one of the first affordable desktop SLA printers. Instead of extruding filaments, Formlabs solidifies a resin with concentrated light, which can make for a much higher resolution print. Diana says she’ll be able to walk people through the 3D printing process: designing objects on a computer screen, and showing them the print that results. 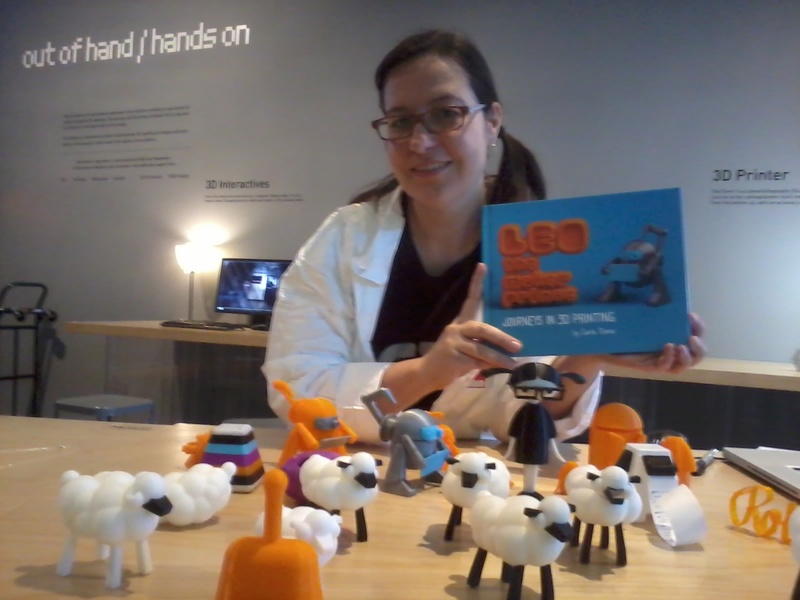 MAKE Author Carla Diana will walk visitors through the 3D design process. 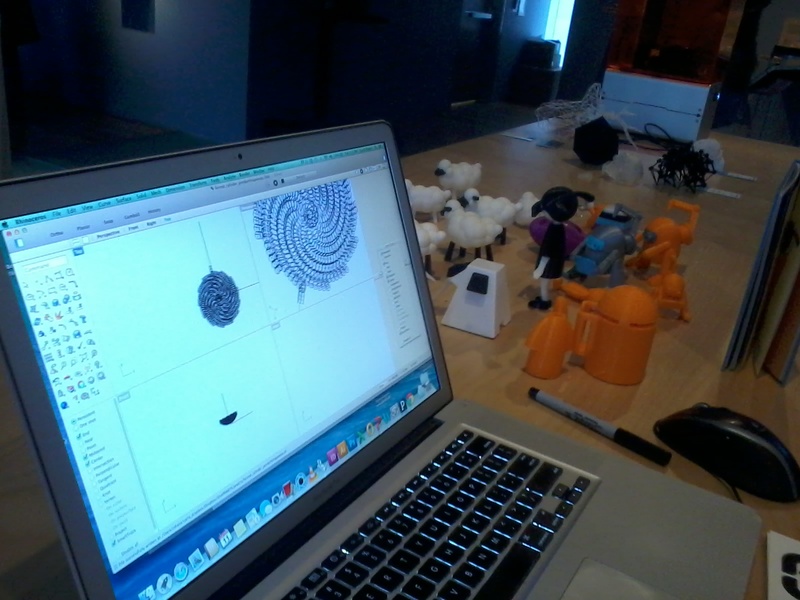 Leo and other 3D printed creatures. In the exhibit, Leo is shown in various stages of design and construction, printed in different materials. By the process of human creativity, Leo is not just a maker; he is also made. Diana and Leo, in all his manifestations, are visible from noon to 6pm, March 11 to 16, 2014 at the Museum of Arts and Design, 2 Columbus Circle, New York NY. The museum is easily accessible via the 1, A, B, C, and D subway lines.